At Home Animal Hospital and Trupanion have partnered in order to help Maui’s four-legged family members get the best in specialized care in as stress free a way as possible. When your pet gets sick or injured the last thing you should be worrying about is how it might affect your finances. When it comes to cats and dogs, they deserve a lifetime of nothing but the best. That’s why we do pet medical insurance a bit differently – and that’s the way we like it! When your pet gets ill or injured, we want you to be able to focus on the health and well-being of your pet, not your wallet. With a Trupanion policy, our clients often pay only their part of the bill at checkout and leave the hospital without waiting for claim approvals and reimbursements. When your dog or cat gets sick or hurt, the last thing you want to think about is how much the veterinary care will cost. 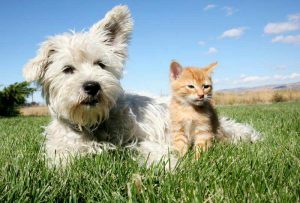 The best pet health insurance helps protect you from that financial burden and let us focus on what we do best, providing your pets with the best advanced veterinary care. So your pet can get back to doing what they love best – spending time with you. Whether your cat encounters a minor incident, like a snagged claw or stumble down the cat tree, or develops a serious medical condition like kidney disease or cancer, a Trupanion with At Home Animal Hospital is there to provide the best veterinary care and to cover 90% of all eligible healthcare expenses. Whether your dog encounters a minor incident, like an unfortunate surfing accident or a stumble down the stairs, or develops a serious medical condition like hip dysplasia or cancer, At Home Animal Hospital and a Trupanion policy are there to provide the best veterinary care and to cover 90% of all eligible healthcare expenses. Coe Huston, Manager of AHAH.